The Lord Jesus is not only ministering His blessing into our lives and needs today. He is also preparing for our eternal future with Him. There will come a time when the Lord will put an end to time and history as we know and experience it now. He will come again in His eternal power and glory to finally establish His rule and authority, do away with all evil, and usher in the new age which He has planned. 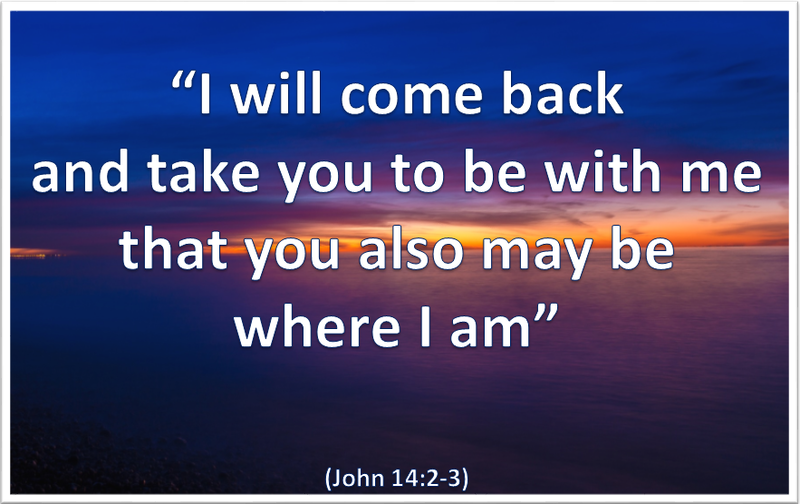 We live in the in-between times – after the Lord’s first coming and before His promised second coming. We do not know when this will happen. It could take place during our life-time or in the years to come. However of one thing we can be sure – it will take place. Until it does we are called to live for the Lord in faith and trust, honouring Him in all we think and say and do. We are on a journey with a Divine presence and a Divine destination. And it is all centred on Christ, the wonder of whose human birth we are about to celebrate. Bless me Lord with faith in You and the future that You have planned for me and for all believers. Amen.